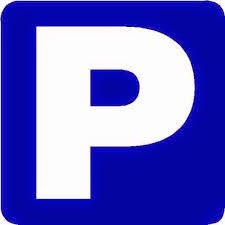 The Cowan Report: H&F Conservatives' 14.7% Parking Charges Hike Blocked! But What Does It Tell Us About How They Did Business? H&F Conservatives' 14.7% Parking Charges Hike Blocked! But What Does It Tell Us About How They Did Business? In the wee small hours of election night last May I found myself being led by council officials to a Town Hall room in a small party that included Cllr. Nicholas Botterill (Con), H&F’s former council leader. We were being taken to sign the book accepting each of our positions as elected H&F councillors. We traipsed quietly from the noise of the count and just as we were about to go through a corridor door Botterill turned to me: “You’re going to be a very unpopular administration very soon” he stated. “Er, thanks” I replied. “I’m not being funny...” he added, “It’s just that the things you’re going to have to do will make you a very unpopular administration very quickly”. He was understandably shocked and upset by the huge loss H&F Conservatives suffered that night. I thanked him again for offering his view and made a note of what he said. The next week a senior H&F Council official shuffled into my office and asked me to enact a policy that H&F Conservatives had planned for immediately after the election: “The former administration may or may not…” He advised while trying to muster what looked like a wink “…have been about to introduce a 14.7% increase in parking charges. If you do it now, it will raise three quarters of a million pounds for the rest of this year and one and a half million more pounds for each year thereafter” he concluded. “Are you trying to turn me into Nick Clegg?” I asked. The official went on to explain that my Labour colleagues and I had promised in our manifesto that we would stick within H&F Conservatives’ planned spending forecasts and that this hike would raise vital sums that would allow us to do that. We did not take the official's advice despite being lobbied to do so by him and others over the following days. Instead, we went and found over £4 million pounds of wasted spend, such as on PR and propaganda, which we cut in a mini-budget we held in June. My fellow Labour councillors and I also propose to freeze parking charges when we vote to agree the borough's finances at February's budget council meeting. When you take inflation into account that is a real terms cut. My colleagues and I made a commitment to put money back into people’s pockets and, in these tough times, that along with other measures we propose to take, will help to do that. Having now had six months to examine what we have inherited I think Botterill's election night comments reflect more on how H&F's Conservative administration chose to do business on Charing Cross Hospital, offering council homes for demolition and sale, hospitality from developers, planning, Sulivan Primary School and all of this. It is true that H&F Conservatives bequeathed us a variety of situations that aren't good and we don't like but I believe that if we're straight with people (and open when legally possible) and keep working to do what we said we'd do in our manifesto then reasonable local people will still recognise that we're on their side and are working hard for them. Meanwhile, back to parking and it's right to reflect on H&F Conservatives' horribly bad record: back in 2007 they successfully argued for a 50% increase in parking fines; in 2009 they introduced new parking rules to catch people out over Christmas and in the same year they introduced a 55% increase in parking charges and made the Daily Telegraph's list of parking shame. We will review how to improve the borough's parking and just like everything else we're working on we will do it with residents. I'm all for the new administration, but I think this is an example of being partisan for the sake of it. H&F has one of the lowest car ownership rates in the UK, 55% of residents not having access to a car or van. Freezing parking charges is effectively subsidizing this minority, where the majority would benefit from investment in other areas (for example cycling infrastructure). This administration should capitalise on the low car ownership rates and the numerous associated public health benefits, rather than sending the message that the new H&F council actively encourages car usage. For a start, this could be done by not making parking charges exempt from inflation. We are currently working with the GLA to make really significant improvements to the borough's cycle infrastructure. We're also making other big highways improvements such as working to get the fly-under under way and consulting residents on turning all residential streets into 20 mph safe zones. I'll publish something here when we have more news. But H&F actually has some of the most expensive parking charges in the UK and in London so we think it's right to freeze them in these tough financial times. Let me know if you want to get involved in any of the working parties such as the one on cycling. It's best to email me at Stephen@TheCowanReport.com.